Known as the fastest band in the world, Grammy-nominated extreme power metal band DragonForce is based in London, England. Their platinum-selling record, Through the Fire and Flames, brought them international acclaim and was featured as the most-challenging song on Guitar Hero III. Their energetic and humorous live performances have won them fans on every continent. 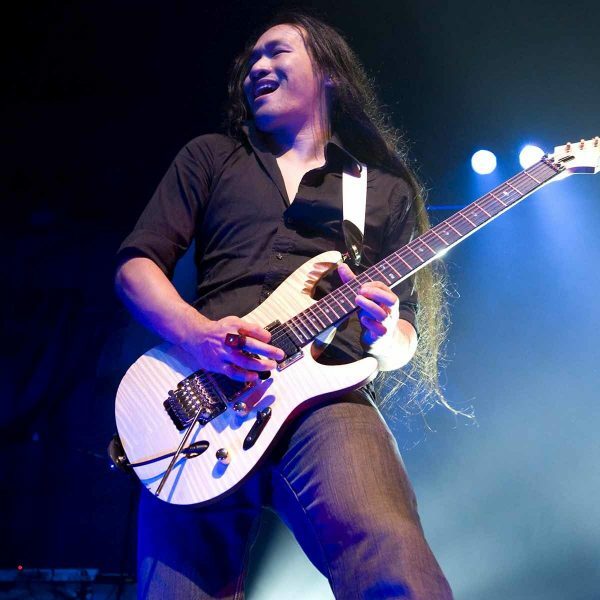 The group is known for their long, complex and fast guitar solos performed by Herman Li and Sam Totman, who founded the band after meeting thorough a classified ad in 1999. Since then, the band has released seven studio albums, including Valley of the Damned, Sonic Firestorm, Inhuman Rampage, Ultra Beatdown, The Power Within, Maximum Overload, and most recently, Reaching into Infinity. Drawing from a wide range of influences, the band’s sound combines the sing-a-long choruses of classic 80s rock with triumphant, uplifting melodies and fantasy-themed power-metal-inspired lyrics. As a nod to their passion for all things video-game related, the band frequently incorporates retro game sounds and melodies into their recordings and live shows. All styles of music. Rock, metal new and old. Video game music; favourites are from late 80’s, early 90’s arcade and PC Engine games. 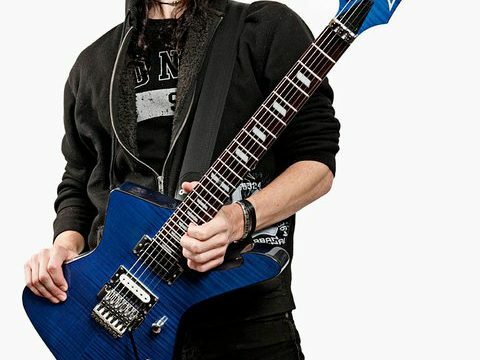 After three years in development, Ibanez releases Herman Li’s own signature model in 2008. This top end electric guitar is played by Li exactly as it is, live on stage, in the studio, right off the shelve without any modification. Catchiest metal bands on the planet only! Late 80’s, early 90’s video games music! The classic Iceman shape with Edge III tremolo, DiMarzio® Evolution pickups feature more harmonic overtones than standard humbuckers to cut though any mix, live or recording. Simple and straight one volume control. Born in England and raised in New Zealand, Sam Totman started his formal training in classical guitar at only 9 years old. Equally-versed in rhythm and lead guitar, his ability as a player complements his remarkable skill at writing catchy and uplifting songs. 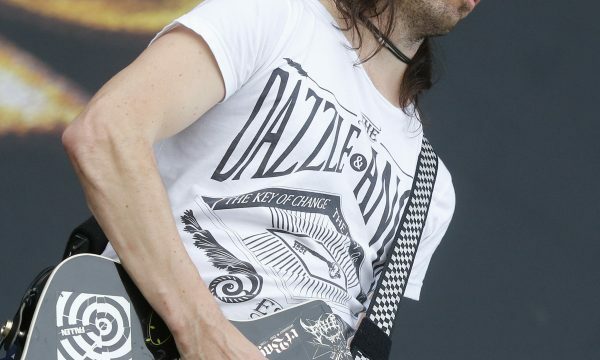 He is an Ibanez Signature Artist (Ibanez STM) and has won numerous readers polls and awards for his guitar abilities. 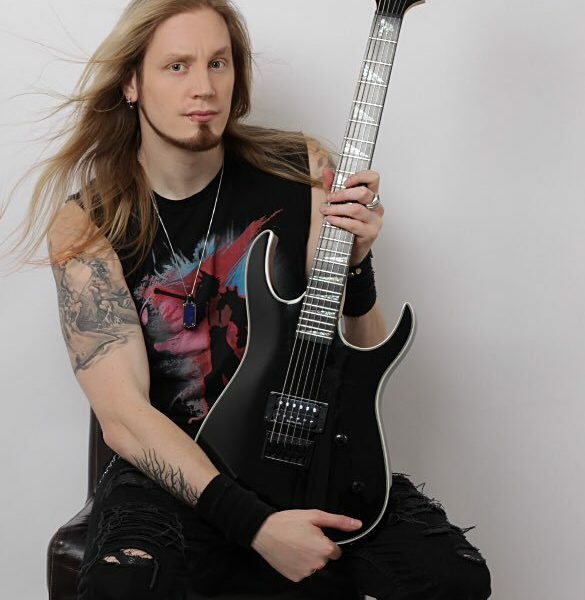 As the primary songwriter for DragonForce, Sam is responsible for the songs you can’t get out of your head (for better or worse!). 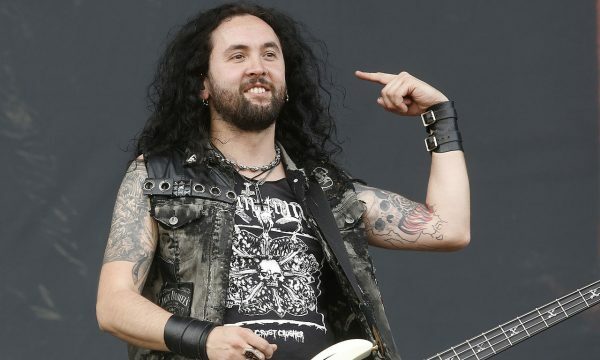 Outside of DragonForce, Sam is mostly interested in binge drinking and playing pinball. His signature stage move is drinking beer (hands-free) while playing guitar. Micheal Kiske, Bruce Dickinson, Sebastian Bach, James Labrie, Ronnie James Dio, Michele Luppi, Roberto Tyranti, Rob Halford, Russel Allen. Oxford-born Marc Hudson began his journey as a vocalist at age 16, after years of playing guitar, when the overwhelming urge to sing forced him to focus on what he loved most. Known by former bandmates as “Mr. 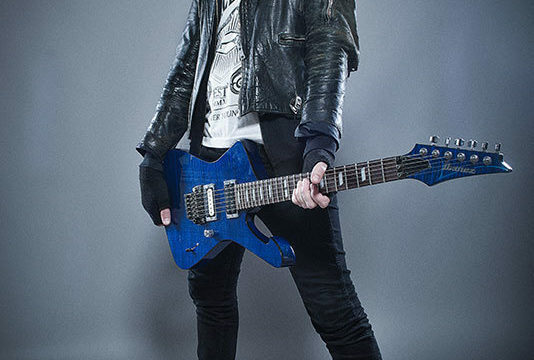 Scream”, he has been singing and playing guitar in various metal and rock bands since 2003. 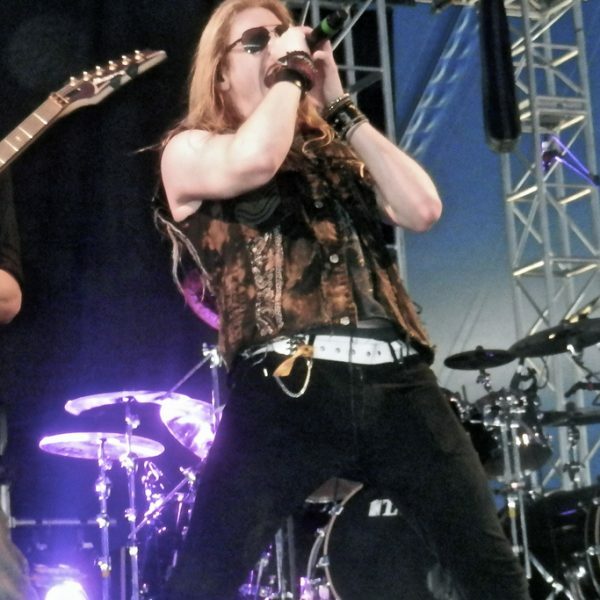 As his love of power metal and progressive music has developed, so has his voice. Neck-Thru-Body Construction. 34” Scale, Alder Body, Maple Neck. ESP BB-604 Bridge w/ String Thru Body. EMG BTC 2-Band Active EQ Control. Frédéric Leclercq is best described as ‘multi’-talented. 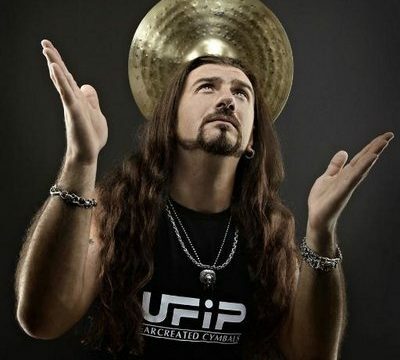 He is a multi-instrumentalist (guitarist, bassist, keyboardist, vocalist), a multi-genre musician (death metal, heavy metal, speed metal, thrash, rock, classical and black metal), multi-lingual (in French, English, German and some dirty words in almost every language), and plays in multi-bands! 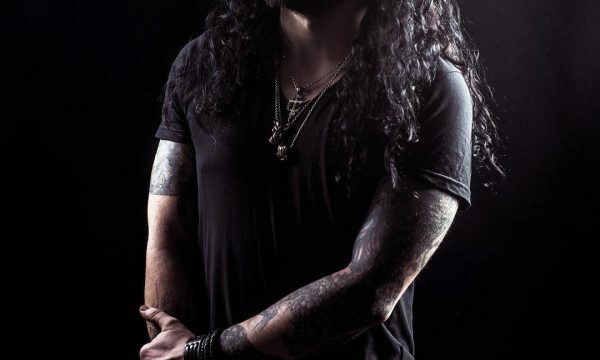 He is the lead singer and guitarist in Sinsaenum, the former guitarist and frontman of Maladaptive, and former keyboardist and guitarist for French band Heavenly. He has also established himself as an in-demand session player for a variety of live and studio projects. 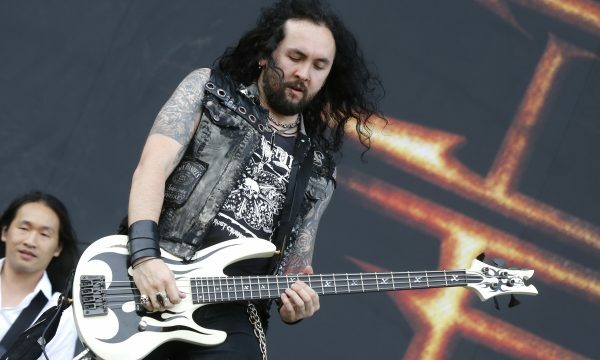 Fred has played bass in DragonForce since 2005, and recent albums have featured his songwriting as well as his guitar playing. Fred’s talent and passion have added a new dimension to the band’s live and studio work. Everything about metal and rock music. Czarcie Kopyto ‘Monolit’ Pedals – DragonForce Limited Edition. Born in Torino, Italy, Gee Anzalone began playing drums at the age of 15. From his first day behind the kit, Gee began learning the art of the double-kick drums. 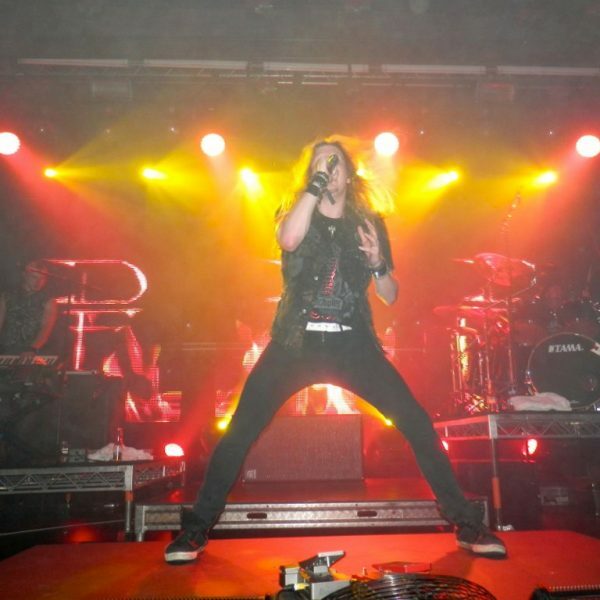 In 2005, after graduating from the NAM Academy in Milano, he became a teacher specializing in rock and metal. Gee has been listening to metal his whole live and has developed a special passion for the genre. He has played with a variety of metal acts such as Braindamage and Kill ritual. 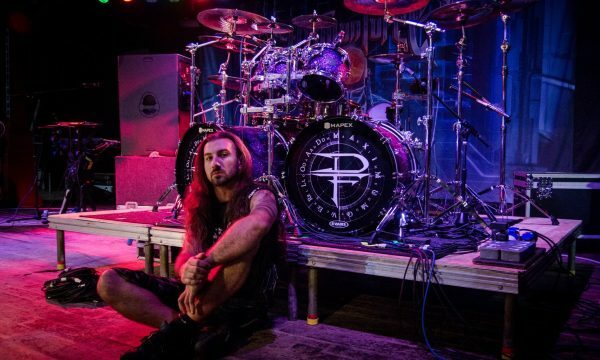 Playing in these bands helped him acquire the skill and experience he relies on when performing with DragonForce. 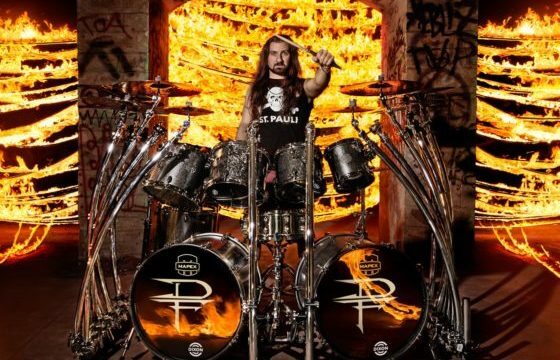 Outside of DragonForce, Gee teaches drumming and music production to students at his academy, Extreme Music Performance Academy. 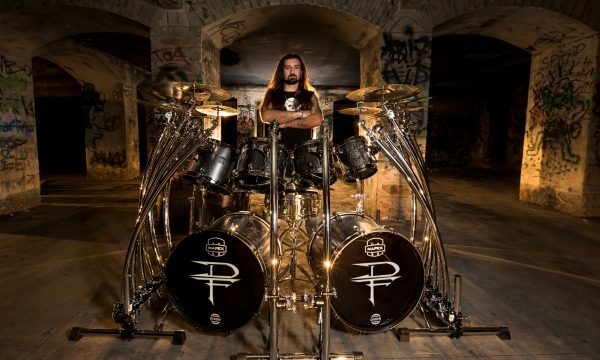 He is passionate about all aspects of drumming, from extreme drumming to modern techniques. He loves to experiment with technique, and for him, the study of drumming has ‘no limits,’ just like his playing. Yngwie Malmsteen, Devin Townsend, Strapping Young Lad, Steve Vai, Pantera, Judas Priest, Symphony X, Dream Theater. 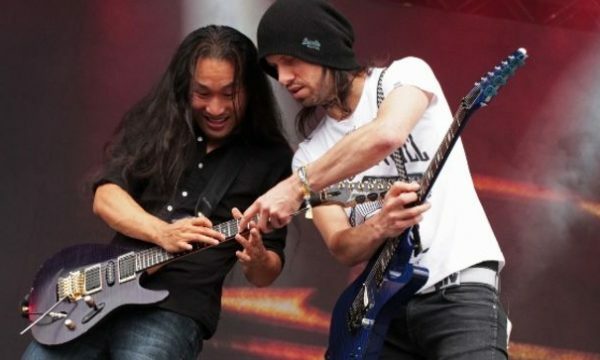 Born in Ukraine and currently residing in England, Vadim Pruzhanov is the keyboard wizard of DragonForce. Vadim’s formal training on piano began at age 8. He quit music lessons out of boredom just three years later and became a self-taught player instead. Around that time, Vadim discovered rock music and knew he had to pursue it as a career. He began creating new sounds and melodies on his Yamaha PSS-51 at age 12 and has carried on with the keyboard ever since. 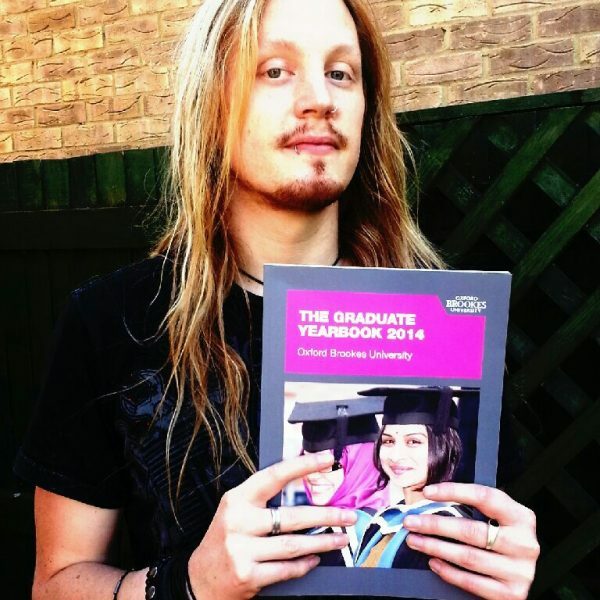 Outside of his work with DragonForce, Vadim plays guitar and is interested in photography. He is married, has two daughters and is currently taking some time off touring.